Weather Rain this afternoon and windy starting this afternoon. 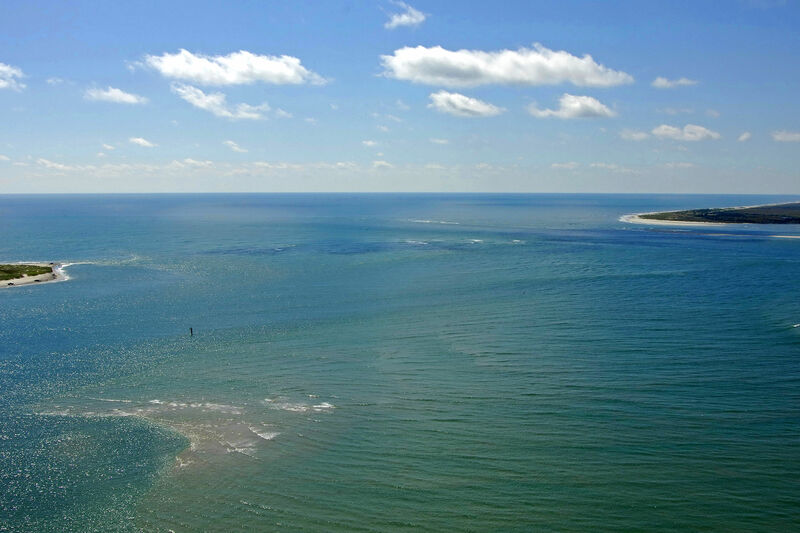 Hatteras Inlet is located 12 miles west of geographically famous Cape Hatteras where the 192-foot-tall Cape Hatteras Lighthouse stands. Hatteras Inlet is 31 miles to the northeast of the Ocracoke Inlet and 44 miles south of Roanoke Island and allows to and from access to the Atlantic Ocean and Pamlico Sound. 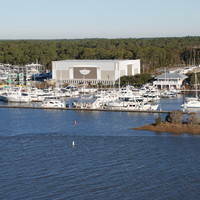 Marinas can be found in the village of Hatteras about five miles east of the Hatteras Inlet. 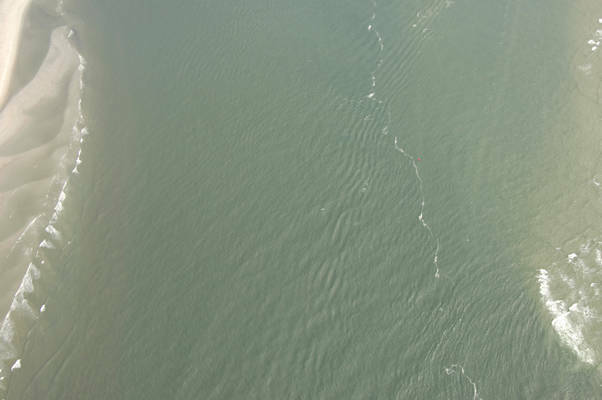 This inlet requires advance local knowledge and should not be attempted in bad weather or by boats drawing more than four feet. Hatteras Inlet, like many North Carolina inlets, is quite dynamic and constantly changing. 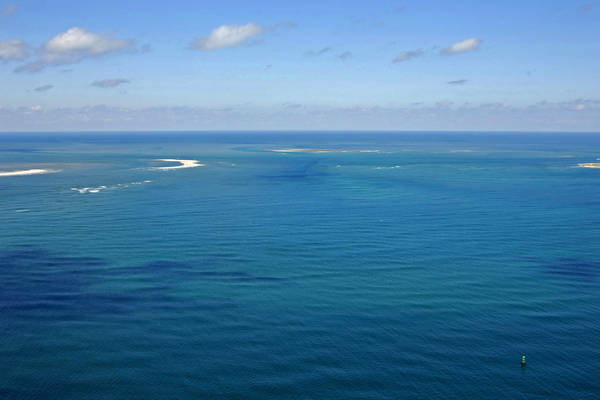 Although local boats frequently use this channel with few problems, we advise against it unless you have detailed advance local knowledge from a reputable source. 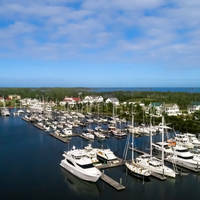 Many of the marinas in the village of Hatteras can give advice via VHF radio or cell phone, or as a last resort, you can follow one of the local fishing boats in. Boats drawing four feet or more should not attempt the inlet under any circumstances, as shoal spots with depths shallower than four feet do exist. Buoys and markers are not charted here for the most part, as they are frequently moved to indicate the deepest portion of the inlet channel. From the Atlantic Ocean, first set a course to intercept red and white Morse (A) buoy HI about a mile and a half south of the inlet, and then head in to intercept the next set of buoys, which will not show up on the chart. 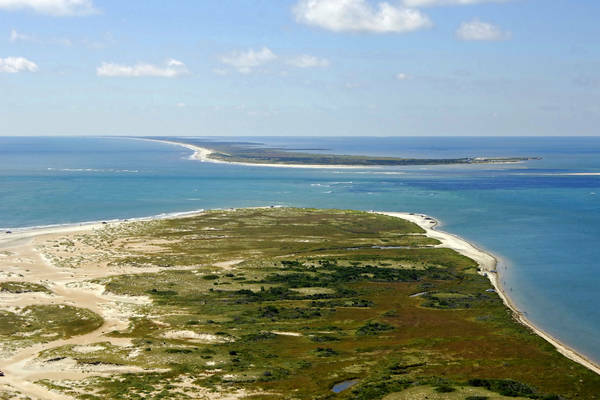 Past the inlet opening you can head toward the east and the village of Hatteras, or head north along a local channel to Pamlico Sound, which, like the inlet, requires local knowledge. 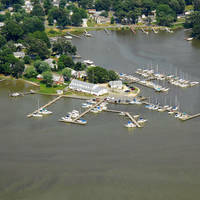 There are plenty of marinas in Hatteras if you need to tie up for the evening, but call ahead for availability. No reviews yet! 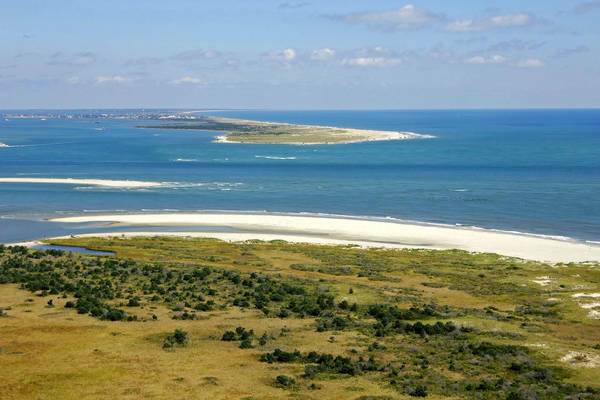 Be the first to write a review of Hatteras Inlet.